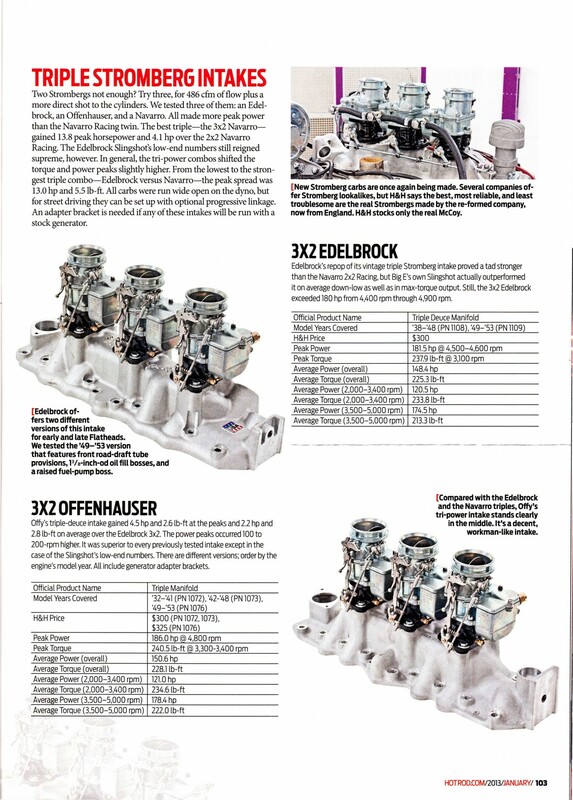 HOT ROD magazine 97 Manifold Smackdown! Most days are pretty good here at Stromberg, but some are off the freakin’ scale. And today is one. 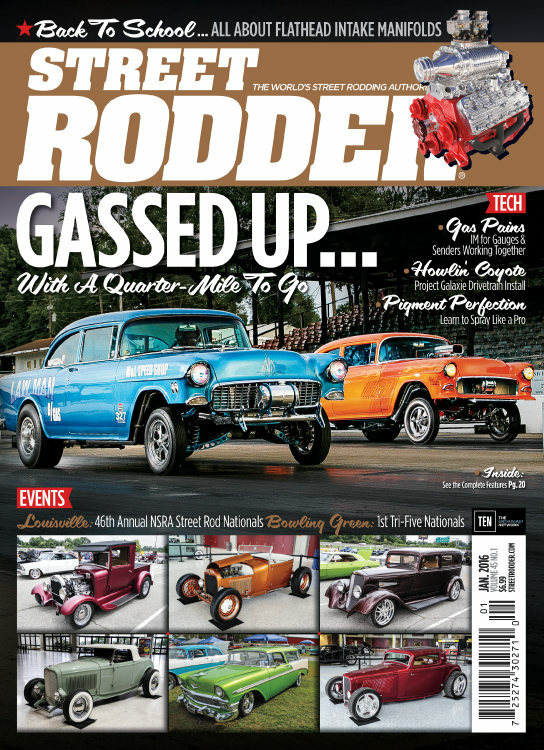 We got the new HOT ROD Magazine 65th Anniversary issue today, and it’s crammed with new 97s. There are three on Dan Webb’s beautiful So-Cal Streamliner recreation (which we featured here a short time ago – click this link). 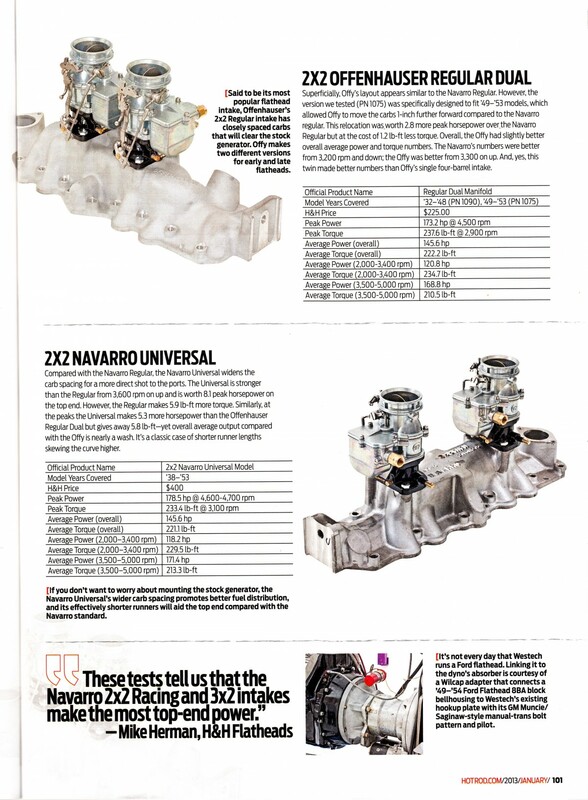 And five pages-full in the ‘Ford Flathead V8 Intake Manifold Smackdown’. If you haven’t got the magazine already, we urge you to do quickly as it won’t available after 11th December 2012, and it’s packed with great features by the HRM team. 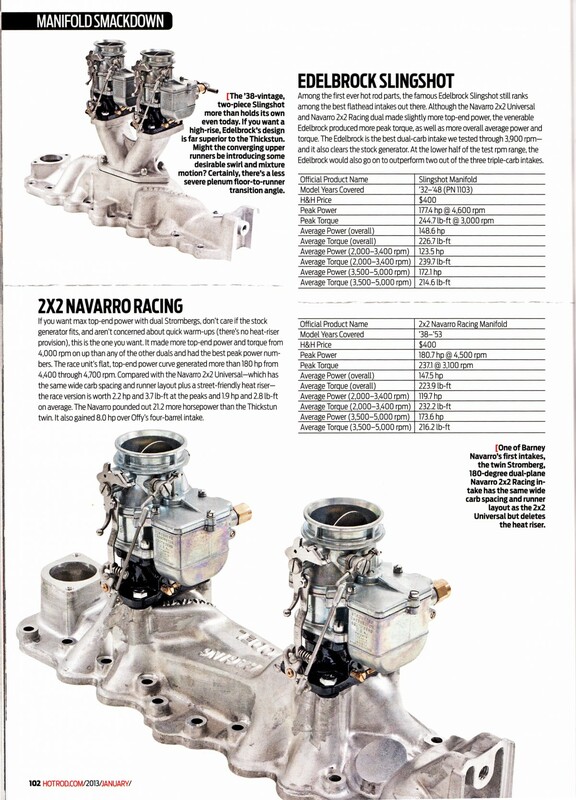 We’ve scanned the relevant pages and added them here for when the mag’s no longer on the stands. Who were the winners? 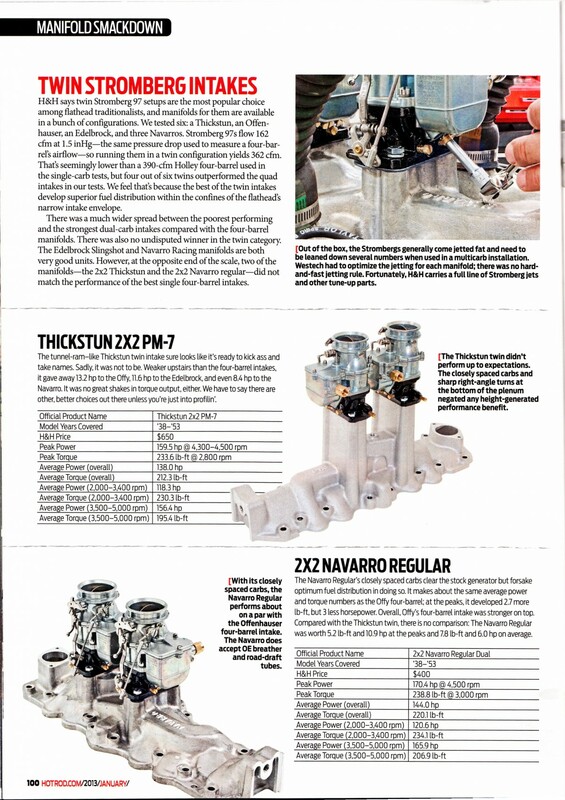 Navarro, pretty much, though the Edelbrock Slingshot 2×2 acquitted itself very well, too. The winners are summarised on page 104 – the last page below. Huge thanks, of course, to Marlan Davis at HRM. 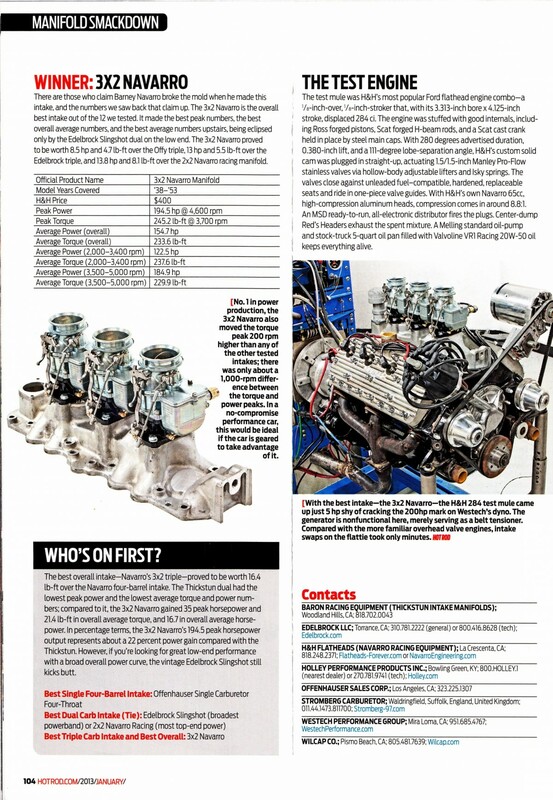 Dan Webb and of course, Mike Herman at Stromberg dealer H&H Flatheads for helping organise the awesome feature and helping us get involved. 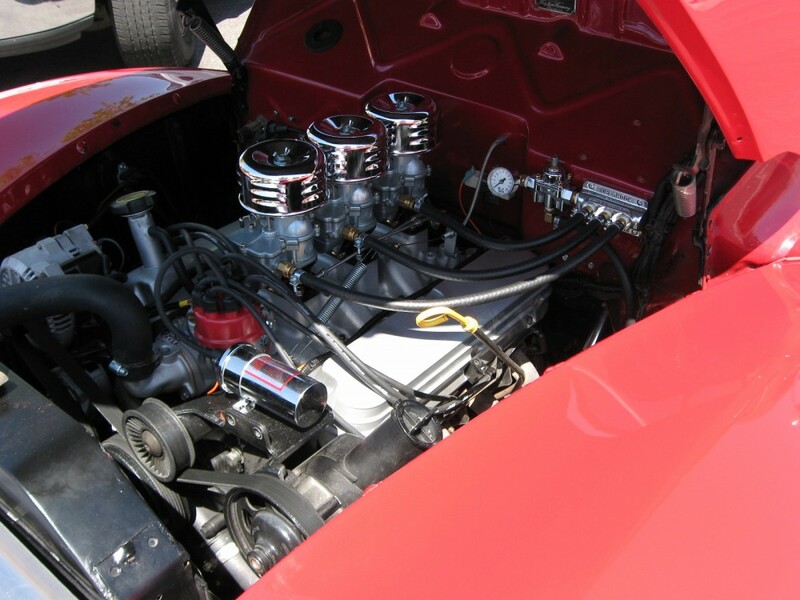 Small block Ford 3×2. 5.0 HO. Three 97s. Anyway, as we state in our 97 Installation Manual, we strongly warn against the use of teflon tape anywhere in a fuel system, and this is exactly why. 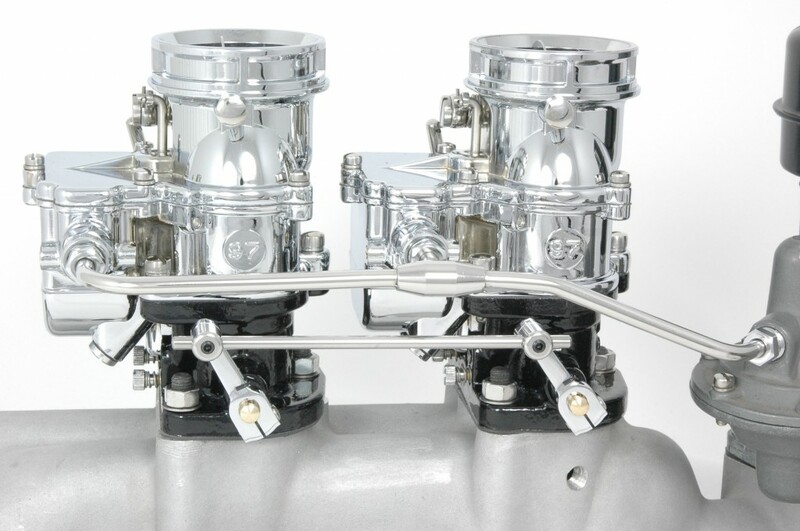 We have seen pieces inches long work their way into a carburetor like a damn tape-worm. That’s why we designed our Superseat hose ends with the correct seat so they do not need teflon tape. Neither should NPT fittings. And the happy customer bit? 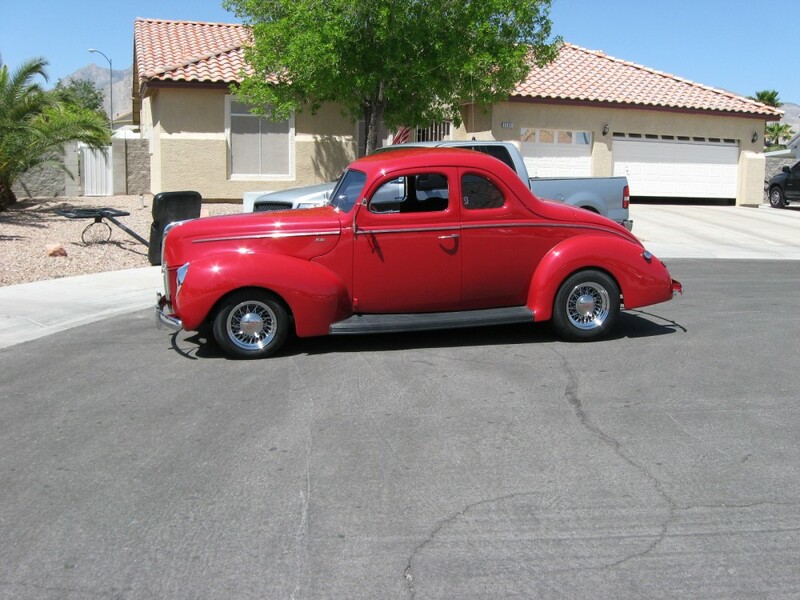 Despite our stated warranty terms (and without prejudice, or admission of fault, as our lawyers like to add), we fixed those toasted carbs like new so he could get his hot rod back on the road. Gary was full of thanks, of course.